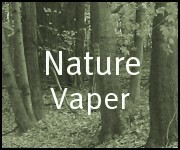 Nature Vaper Corp announces their new business offering a broad selection of popular electronic cigarettes and accessories. Products are now available at their web-site http://www.NatureVaper.com. Future plans also include opening a retail store operation in the Grand Rapids area. Since their introduction in 2003, e- cigarettes have taken the world by storm. Millions of former smokers have either switched from smoking completely or greatly reduced their cigarette usage. Representatives from www.NatureVaper.com will be participating at the inter-national VapeBash Conference in Rosemont, IL. on March 30 and 31. They are a family owned and operated small business. Their mission is to provide quality products and prompt delivery to customers at fair prices. The owners have extensive business experience and understand the importance of business ethics in creating and growing a successful enterprise. Although NatureVaper Corp is a new Company, their operating officer has been involved in the electronic cigarette industry for several years. While the industry is also relatively new they believe it provides an opportunity for a healthier and more environmentally sensitive alternative for individuals who may choose to use tobacco-based cigarettes. They believe electronic cigarettes allow users to enjoy the satisfaction of the smoking experience while reducing likely contaminants associated with regular tobacco cigarettes. Their products have been selected from numerous items which were subjected to staff or outside analysis and testing. We believe that our products are the best electronic cigarettes and accessories available on the market. E-cigarettes are a completely different approach to addressing the concerns about the cost and health effects of smoking. Until now, the focus on quitting smoking has been on ending nicotine dependence. Billions spent on nicotine cessation products has resulted in very low quit rates. Nicotine gums, lozenges and patches that require eventual abstinence, and pills that attempt to make smoking unpleasant for the smoker completely ignore the social and behavioral aspects many smokers enjoy and do not wish to give up. It is a myth that most smokers "want to quit". In truth, most smokers simply realize that they probably should quit. Therefore not only do those products fail to help 93% of the time - even for smokers who actually do want to end nicotine dependence - they are completely ignored by the millions of smokers who enjoy smoking for reasons beyond nicotine use. E-cigarette use - or "vaping"- addresses smokers' needs on multiple levels, rather than simply focusing on the nicotine. E-cigarettes are not intended to be used as a nicotine cessation product. They are intended to replace tobacco cigarettes by providing an alternate source of nicotine and mimicking the familiar behaviors associated with smoking, thereby eliminating the user's exposure to smoke and significantly reducing the health concerns related to smoking. By eliminating the cigarette smoke but not requiring the user to give up familiar habits and nicotine, e-cigarettes are showing significant promise as a highly successful tobacco harm reduction product. Take the opportunity to participate in the World Vaping Day 2012. If you are a smoker and haven't tried e-cigarettes yet, there are a inexpensive disposable brands which are available on-line including Nature Vaper Corp.